This is more a question than a comment. 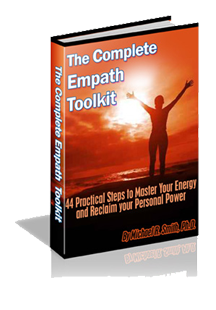 As a counsellor it really helps to be a empath but it is very draining. Where I battle to block is I do tension, headache and relaxation massage as part of my therapy. I get migraines and I sometimes vomit after a session with a client. How do I handle this? I have bifocal sunglasses. I wear them when going out shopping or whatever. Never actually thought about, until I read this…but yes I think this might just block the negative energy to a degree.